Guy Wah and I discuss voice over and being an acting singer in the UK. You can listen to it by clicking here! We are here to help all those in the Brighton and Sussex areas to find all things voice over. Want to find out when we next meet, join our Facebook page here! Plans are afoot for meeting again in April 2019. Voice for an online video explaining how to use the Delta Ven Catheter. 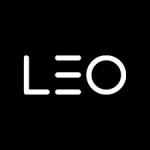 Voice for an online video for Mars Corporation (in house video for Mars Business University) through Leo Learning. Reading an animation and instructions for an online navigation of an online marking course for Kimberly Clark (Huggies/Kotex products) through Leo Learning. Debbie Bridge plays Untula, a New Yorker, scaly, finned covered creature who lives for thousands of years. This is 1 in a series which started with a brand new science fiction audio drama for the Whoniverse. Tales Of A Timelord takes its listeners on a journey through a brand new companion’s eyes with a the Doctor somewhere near his 20th regeneration. 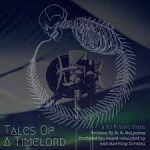 Tales Of A Timelord is produced by TOATL Audio, an independent UK creative group working towards universal fame. Reading an over 50 page instructions for an online navigation of an online HR course for Leo Learning. 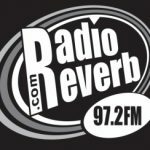 Debbie Bridge plays Steph, the roving report around town for Dark Sands Radio. Debbie is the introductory voice for the series and features in several parts of this audio fantasy series on various tall tales about what can happen in a small town. Debbie Bridge plays Eva Peron, the wife of the Argentinian Ruler. Debbie voices Eva Peron’s life story in the first person for an educational program for young foreign students in the US. 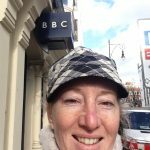 Debbie produces, directs and hosts ‘American Round Up‘ a series of shows talking about American Classical composers and their music. Debbie produces, directs and hosts ‘The New Classics‘ a series of shows highlighting and interviewing British contemporary classical composers and their work. Debbie hosts a small segment called: “Debbie’s Mixed Bag – Fine Arts and Fine People of Brighton and Hove.” This was part of Sean Creed’s show, bRighToN pHlUx, where Debbie talks with various artists, charities and not for profit businesses in Brighton and Hove.